Several years ago, while attending church potluck after services one Sabbath, I noticed a visitor going from table to table visiting with the local church members. His appearance had caught my attention as most of those in attendance were dressed in their Sabbath best from church. I had not seen him at the service, but it was not uncommon to have locals attend potluck without attending church. The church was in a depressed part of town and for some who came this may have been their only balanced meal all week. This man was a rather slender, even skinny fellow with a long beard and suspenders to hold up his khaki pants. The suspenders clashed with the colors in his plaid shirt, and a canvas fishing hat covered masses of light brown, disheveled hair. I surmised he was a newer member, just arrived in the local neighborhood, looking for a meal. However, he eventually arrived at my table, and his purpose became clear. He began to share with those of us sitting at the table what Ellen White had written about cheese. He quoted that “it should never enter the stomach.” Testimonies, Volume 2, page 68. Also he recited that cheese was “wholly unfit for food.” Ministry of Healing, page 302. With further conversation, we discovered that this church member had made it his life work to travel the country and attend potlucks at Seventh-day Adventist churches and tell everyone that they could only find salvation by being obedient and that obedience meant eliminating cheese from the diet. Anyone who had attended a church potluck, Adventist or otherwise, knows that cheese is present in many dishes from potatoes au gratin, to macaroni and cheese casseroles. He saw this as a challenge to the perfection that holy living required. It was a touchstone for him. If people were not being obedient regarding cheese then they probably were not being obedient elsewhere in their lives and probably weren’t really saved. Finding few who would stop eating their meal when he pointed out the cheese to them, he eventually “shook the dust” off his shoes and moved on, presumably to another church the following weekend. Is this what holy living is all about? Is it based on an obedience checklist that we compare ourselves against to determine if we are holy enough to make it? There have been many such checklists through the ages. Jewish converts of the 1st century tried to make circumcision the bellwether of a person’s relationship to God. Sometime around the first Council of Nicaea in the early 4th century, penance became a hot topic for the early church. Many felt that converts must demonstrate their commitment by obedient acts of contrition. Perhaps this was because some had renounced their faith when persecuted and then sought to re-establish their relationship with the church. Some felt that rebaptism either should not be allowed or was not enough and that some difficult penance must be assigned to demonstrate to the sinner and to the church that falling away was not to be taken lightly. As time went on, obedience came to be identified with creeds that outlined adherence to doctrines defined by the various denominations. For instance, you would not be seen to be obedient and striving toward holiness in the Seventh-day Adventist church if you did not adhere to Saturday Sabbath keeping. Conversely, other denominations such as the Southern Baptists, the Nazarenes, and other Sunday keeping fellowships would feel that you were not progressing in your faith if you did keep a Saturday Sabbath. Irrespective of the perceived biblical foundations for these positions, the purpose in citing these examples is not to proclaim doctrinal truth but merely to illustrate how obedience may be defined. Today, we see obedience is often more than a matter of simple commitment to a creedal position, but rather as a commitment to a particular interpretation of those creeds. In the case of our cheese-abstaining friend, for instance, we find that the denominational creed known as “The 28 Fundamental Beliefs” of the Seventh-day Adventist Church contains in belief number 22, “…we are to adopt the most healthful diet possible…,” and number 18 regarding Ellen White, “As the Lord’s messenger, her writings are a continuing and authoritative source of truth which provide for the church comfort, guidance, instruction, and correction,” became, through interpretation, a mandate to proclaim the gospel of forbidding cheese consumption in order to be saved. Many such interpretations are made battlefields of contention in the modern church. I have heard vegetarians proclaim that anyone who eats meat will not be allowed to live to meet Jesus when He returns. But even vegetarians are now looked down on by vegans who feel they are the modern keepers of the Holy Grail. Some feel that those who listen to certain musical compositions can never be saved as long as they do so. Others feel that dress is the deciding issue. Still others feel that women who seek ordination as ministers of the gospel are on the Devil’s highway. Often, these tests of obedience are more about emotion and feeling than about any real understanding of salvation. As much as we might want to believe that somehow our works of obedience will add something to our savability, all such attempts will only result in pride and subsequently our downfall. (See Proverbs 16:18) One might think that if this is the case, then no one will be saved since we cannot be righteous. Nothing is further from the truth. The righteousness, the salvation that so easily eludes us is given to us as a gift. “the gift of God is eternal life through Christ Jesus our Lord.” Romans 6:23, NIV One might say that yes, I have been justified by Jesus and that is a gift, but now I must work on being sanctified, or made holy. After all, I must work out my own “salvation with fear and trembling.” Philippians 2:12, NIV But what does that mean? Does it mean that we can somehow, through the exercise of our will overcome the tendency to sin that we have inherited from Adam? Can we simply by choosing to do the right thing overcome our fleshly desires? It seems that Isaiah and Jeremiah don’t believe that is possible. Does Paul’s letter to the Philippians then urge us to do something we cannot do? For the answer we need only look to the next verse. Sometimes we hurt others by demanding, or even just hinting, that they come up to a standard of obedience they are not ready to achieve. We forget the counsel “Who are you to judge someone else’s servant? To their own master, servants stand or fall. And they will stand, for the Lord is able to make them stand.” Romans 14:4, NIV We even push ourselves to achieve in our own strength what we are not ready for. When we go to the doctor and the doctor tells us that we need surgery, we trust the doctor to pick the right time and place for the surgery. Perhaps we need to go through certain preparations before we are ready for the surgery. Maybe we are not strong enough for the surgery and must have our health built up first to withstand the rigors of the operation. In the same way, God chooses the right time and place to deal with that pernicious habit that is preventing us from advancing spiritually. He knows when it is time to deal with the problem and how best to deal with it. He will not leave us lacking in anything necessary for our salvation if we only trust Him enough to let Him be in control. When we submit ourselves to Him, obedience becomes about how perfect God is and not how sanctified we are. Scripture marked (NIV) taken from the Holy Bible, NEW INTERNATIONAL VERSION®. Copyright © 1973, 1978, 1984 by Biblica, Inc. All rights reserved worldwide. Used by permission. NEW INTERNATIONAL VERSION® and NIV® are registered trademarks of Biblica, Inc. Use of either trademark for the offering of goods or services requires the prior written consent of Biblica US, Inc. Graduated with a degree in Theology and Biblical Languages from Walla Walla University. Pastored several churches in the Kansas Conference of Seventh-day Adventists. Amen! I have attended churches where what you eat was more important than what you watched, read, or your daily walk with God. These same churches tended to hold Sister White in such high regard that she is quoted more than scripture, despite her counsel not to do so. It was interesting growing up in a church where there were members that openly chastised others (to the point several left including pastors) only find after I became an adult that many did the very things they condemned in their own lives. I cannot agree with you more that until we humble ourselves daily before God and allow Him to work in us we can never be what He wants us to be; a fact continually driven home to me by my mother who has ever shown me by example this very practice. Thank you so much for this statement. I am a newly member of a SDA Church. I grew up under other denominations but always felt like I wanted more from God and he desired more from me as a servant and I also didn't feel like I was being properly feed his word. So I searched for a new church home through praying and fasting and was later lead to this church. I was so excited to discover there was a church that believed and obeyed the things that God had revealed to me alone. But to be honest at times I get a little discouraged because my church family can get a little to deep in the Ellen G white and the whole righteous acts. I believe unto God does a new thing in you you can only be accountable for what God has presented before you as a form of salvation. Terry you know how to open a can of worms. Be that as it may, thank-you for the ammunition. I was speaking with a lady who said you are a Seventh-day-Adventst aren't you? What do you believe? Well, since she seemed to know all about my religion, I started right in with I believe in the whole Bible, God the Father, the Son, and the Holy Spirit as a Trinity, before I could get to what the only God Head had done for me and her, ya know, I was going to lay out a breif sketch of the plan of salvation, she interupted and said, "you have a restricted religion, you don't let your members dance, wear jewelery, or eat meat and aged cheese." Since we needed to also get business taken care of, I left her with, we believe in a hill called Mount Calvery...and when time has surendered and earth is no more, we will still cling to the old rugged cross. I do believe I will have another conversation with her in the future. Terry, you have not given us ammunition, but sugical skills to woo even the most devout SDA to the foot of the cross. Stephen, while I totally endorse the vegan diet, so don't get me wrong, but I have enountered people in the church who were constantly boasting their vegan diet, to shift all the attention to the fact that they dont eat cheese, so people would not notice they were abusing thier spouse and kids. How much sense does that make? People will talk all day about where they are strong, hoping to cover for where they are weak. We need not only a balanced diet but a balanced life! Thanks for your comment, William. A balanced approach to our understanding of our relationship to God and each other was modeled by Jesus. When He spoke about the hardness of our hearts, He was not speaking about hardening of the arteries through atherosclerosis. Health reform, as admirable as it is, does not fix our basic heart problem. Only Jesus can do that. "This man was a rather slender, even skinny fellow with a long beard and suspenders to hold up his khaki pants. The suspenders clashed with the colors in his plaid shirt, and a canvas fishing hat covered masses of light brown, disheveled hair. I surmised he was a newer member, just arrived in the local neighborhood, looking for a meal. However, he eventually arrived at my table, and his purpose became clear. He began to share with those of us sitting at the table what Ellen White had written about cheese. He quoted that “it should never enter the stomach.” Testimonies, Volume 2, page 68. Also he recited that cheese was “wholly unfit for food.” Ministry of Healing, page 302." From Wikipedia: "An ad hominem (Latin for "to the man"), short for argumentum ad hominem, is an attempt to negate the truth of a claim by pointing out a negative characteristic or belief of the person supporting it. Ad hominem reasoning is normally described as a logical fallacy, more precisely an informal fallacy and an irrelevance." What if Jesus would have come to your table and said those very same things? How would you have received it? How much do we love Jesus? Are we seeking Him with all our hearts? Is everything (even our diet) in submission to Him? We need to be like Samuel who said, " 1 Sam 3:10* And the LORD came, and stood, and called as at other times, Samuel, Samuel. Then Samuel answered, Speak; for thy servant heareth." God cannot write His law in our hearts if we don't let Him. I'm not sure what your comment entails. Are you dissappointed about the writer giving the details about the event as it occurred? What is your philosophy about overlly zealeous Adventists ensuring everyone eats "Wholly"? Futhermore, Christ usually served fish and bread. There was no Biblical account of Christ demanding Vegan diet for good health. The apostles were not lazy like we are today. Therefore they could eat more than veggies only as long as they were eating "Clean Meats". The health message is to enhance our health. And by doing so it allows us to be better witnesses for Christ Jesus. But if one chooses to eat "Clean Meats" and is able to maintain good health readings on Cholesterol, Sugar levels, or High Blood pressure then there is no harm done. I see in Adventism lots of Diabetics, Hum, I wonder whY?? Lots of carbs+ little veggies= "Wholly Diet"///HA HA HA. I believe in realistic standards for the times we live in. Apostles in Christ day were very active as were most people who lived in those times. The "Skinny Fella" going around looking at food at potlucks should have been asking if any one at those tables were planning on going out to do some "foot ministry" or Evangelism after they eat. But actually we need to just worry about our own shortcomings and let others worry about theirs. We are obedient to God, not man. Thank you for the response. I agree that we as SDAs, in general, are not consistent with our health message. When I was younger, one of my friends would say that he knew of cigarette smoking, beer drinking, unclean meat eating folks who exercised and were healthier than most Adventists who didn't smoke/drink/eat meat. It was a rebuke to me. Living for Jesus means that we seek to present our bodies a living sacrifice (Rom 12:1) not a lame one. As Christians, we should epitomize healthy living in all aspects of our lives (1 Co 10:31). We belong to Christ and are part of His body (1 Co 12:27). As such, we need to keep our bodies in the best possible condition so that we can clearly understand His teachings and do His ministry. We are on the borders of Canaan and need to be preparing to enter in and helping others to prepare as well. We have a tendency to be content to live as if this world is the only one we have. God wants us to grow up into His image and to keep eternal realities in view. 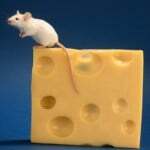 There is a tendency for people who have overcome in one area of their lives to look at the faults of others who haven't overcome in the same area as they have (the anti-cheese proponent). In the book Steps to Christ P71, there are 4 issues that separate us from Christ. 1.Pleasures of the world, 2.Life's cares, perplexities, and sorrows, 3. The faults of others, 4. Our own faults. If we are looking to Jesus, we will seek to help and bless and not to condemn. We will love others. In that way we will be Christ's representatives. How do we help people that have a tendency to criticize and condemn? We talk about Jesus and His love. We lift Him up who is the source of all life. We speak the truth in love. Eph 4:15. We remember that by our words we are judged (Mat 12:37). That is why Christians should be the nicest people in the world. I am not there yet, but I keep looking to Jesus. May God help us to be sanctified by His word which is the truth. PS: From a Christian perspective, killing an animal to be eaten should only be done if there are no good alternatives for food. Pro 12:10. Another consideration is that we don't know the health of the animal that is offered for meat. I know of animal auctioneers that became vegetarian because of their knowledge of the animals that were slaughtered. Meat eating is associated with higher levels of cancer. Cheese is full of oxidized cholesterol which is very damaging to our blood vessels. It is also is full of salt which can exacerbate hypertension. It is full of fat that can cause red blood cell sludging in addition to obesity from the extra calories. It also contains remnants of the additives given to the cows to promote lactation. Bottom line, with the proliferation of diseases in animals we need to be careful about our dietary. I agree with you that Stephen's portrayal of that gentleman devalued the person and message in order to argue his reaction/response. The extent to which Stephen chose to respect or disrespect this gentleman relates to his own ability to persuasively present truth. I found this article to be often internally conflictual and confusing. Truth in Jesus Christ is very clear, simple and direct, and leaves no confusion. "We belong to Christ and are part of His body (1 Co 12:27). As such, we need to keep our bodies in the best possible condition so that we can clearly understand His teachings and do His ministry." Well said. There are times when we say with confidence that the Lord brought someone in our lives: usually when we minister to that person, or when that person increases our feeling of well-being through the sharing of compatible experiences and thinking. It appears difficult for either Stephen or Janet to perceive of the encounter with gentleman as an encounter provided by the Lord, either for ministry to the person (and those he meets), or for a call into deeper understanding and love. When someone challenges my perception, do I seek within myself for the answers, or do I ask the Lord for the reason He sent or allowed this person in my life? What did I learn, and in what way have I been called into a deeper ministry. I congratulate Stephen for wrestling with the intrinsic dilemmas in the discussion of faith and human responsibility. I think that Daniel, Job, Joseph, Abraham, Paul and others resolved that dilemma. There is a commitment in faith and a compatible commitment in human responsibility that acknowledges that Yahweh who gave His best in Christ, "works in me" to give my best, no less, in every aspect of my life. We can ask Abraham or Sarah. I love cheese, now I no longer wish to eat even a slice. Thanks for the well explained lesson. Am a Zambian I check your comments they are building me spiritually. You people if you have books to give out kindly help us, I want to be ministering at the school were am teaching. May God bless you all. Hi, Mwansa. thank you for your comment. Are you giving up cheese because of the statements quoted from Ellen White's writings or are you giving it up for health reasons. If you are doing this for the first reason, you should be aware that she later moderated that statement to apply only to aged, ripened cheeses. If you are doing it for the second reason, you may wish to review whether in your part of the world, it is possible to receive adequate nutrition without it. I do not know what is available in your market. You will need to be sure you are getting adequate nutrition from what you can obtain. Ellen White also made it very clear that the dietary reforms she advocated may not be practical everywhere due to differences in what is available locally. If you can obtain a balanced diet without cheese then doing without may be a good choice for you. Please remember that health reform is about health, not salvation. I congratulate Teacher Mwanswa as a fast learner and proactive teacher in his choice to give up cheese. Since you are writing to influence a broad scope of readers, I would suspect that you also are a quick learner and teacher yourself. If you knew that Zambia, his homeland, holds 40% of Southern Africa's water resource, you would know that Mwanswa and his students most likely can follow the diet that God/Yahweh/Jesus Christ/The Word gave in Genesis 1. It is not necessary for Africans to suffer the lifestyle diseases caused by the diets of "civilized" western societies. It is necessary for you and me to discover how we can more effectively assist all peoples to live more healthfully, whether SDA or Moslem, American or Zambian. When we understand the woes/suffering that westerners and western lifestyles brought on Africans, we might first be incentivized to assist Americans to live closer to the proposed healthier lifestyle of SDAs (if only for the 10 years longer lifespan, and living healthier --avoiding the high incidence of the Big 4 health menaces). Healthy living is not antagonistic to godliness and salvation. Rather, eating foods out of the idolatry of the flesh is alien to respect for the God of Creation and Redemption. It is not about the right to eat meat or not to eat meat. It is about taking the best care of the Temple of the Holy Spirit, who dwells in us. Download EGWhite app, thousands of pages on spiritual topics for free, anywhere in the world. Truly the fulfilling of "many will run to and fro". I believe Wayne Smith makes a very good point. What would you have said if it was Christ that was going around the tables telling people not to eat certain things. Before you say, Christ would never do that, Christ told many people not to do certain things. The bottom line is that we should be asking God what can I do to have a closer walk with Christ. If we wait for God to slap us in the face and tell us, It's never going to happen. Christ says, I stand at the door and knock. He will not barge in. He waits hopping that we will surrender our will and let him come in. It's our choice, not His. About Christ eating meat, After Christ died on the cross and went to Heaven, when He came back to finish up His ministry, He never ate meat again.I wonder why ???????. If you do a study from the Bible and the SOP you will find out. Thank you for your input, Roy. It reminds me of a talk given by Ellen White in 1901, seven years after she was said to have given up meat eating for good. "What I want is that every one of you should stand in your individual dignity before God, in your individual consecration to God, that the soul-temple shall be dedicated to God. `Whosoever defileth the temple of God, him will God destroy.' Now I want you to think of these things, and do not make any human being your criterion." Ellen white wrote out the elements of her 1863 health reform vision in 1864. In Spiritual Gifts, Volume 4, Page 153, she wrote about vegetarianism, "But since the Lord presented before me, in June, 1863, the subject of meat-eating in relation to health, I have left the use of meat. For a while it was rather difficult to bring my appetite to bread, for which, formerly, I have had but little relish. But by persevering, I have been able to do this. I have lived for nearly one year without meat." "Since the camp meeting at Brighton [January, 1894] I have absolutely banished meat from my table. It is an understanding that whether I am at home or abroad, nothing of this kind is to be used in my family, or come upon my table. I have had much representation before my mind in the night season on this subject." Perhaps dietary reform is not so black and white as it sometimes appears. If Ellen White struggled with observing her own message for 30 years, maybe we can exercise a little more compassion toward others who don't immediately "get it" and allow the Holy Spirit to gently lead them. Maybe the issues that the Holy Spirit feels are of immediate importance are not the ones we would choose to push forward. Well said Stephen! I agree compassion is needed! I really enjoyed this post entirely! And while the work of revival and reformation truly does happen within by the Spirit of God, we have a part to play as well in our brothers' and sisters' salvation. We are watchmen (Ezekiel 33), and we are our brothers' keepers. This may have more to do with accountability in helping our brothers and sisters fight the sins they are struggling with, but it can also be effective in the battle to keep our body temples clean. I would simply say that perhaps this crazy cheese dude had a good intent, but his METHOD was un-appealing and of little effect. So from the evangelism side of things, do not be afraid to SHARE the light you have brethren! But do not SHOVE the light down people's throats or guilt trip folks into "holy living". It is the Holy Spirit's job to convict, not ours, but we ought to be willing and available to present the light. Another key is relationship. The crazy cheese dude possibly didn't know these people from Noah, and so his appeals generally would strike a very small group of people who were actually looking for council on this topic in their personal lives due to the Holy Spirit's leading. But if you have a good friend or somebody you have a connection with who is open to your "leading" or advice in their life, then your appeals may be much more effective. It's effective because people know that when you share something, you are thinking of their good because you love them. But here is a note to all believers: be willing to be criticized, even if it doesn't come from the most friendly source. As a believer in Jesus Christ, I have been open to the Bible's criticisms of my sins. I am also open to recieving critique from other sources, if it is true. Proverbs 9:8-9 says it best, "Do not reprove a scoffer, or he will hate you; reprove a wise man, and he will love you. So does it help if critique comes from a source that I know loves and cares for me (like my mom)? Yes! And as Christians, I hope these are the kinds of critiquers we aspire to be. But am I opposed to helpful info from a stranger to me? No. It's like somebody you don't know telling you your fly is down or your shoes are untied. Maybe a little embarrassing, but really a good thing. I hope I can sum up by simply saying, be a good (loving, understanding) listener as well as a good (loving, compassionate, understanding) speaker. Oh, and I am not equating eating right with surrendering the heart to God, although there is some correlation when you are subject to your base passions as opposed to being master over your body and "bringing it into subjection". Anyway, may we each have peace with God in the integrity of our hearts, knowing that we are DOING what He personally has placed on our hearts to do through His Word, prayer, or the counsel of brethren, wherever we are in the journey of sanctification. While Christ gave the diet of Genesis 1 as the diet for His Creation, the same God, before sending a flood to destroy sinners, ordered saving groups of 7 "clean" animals for food. God knew that reduced oxygenation, combined with the eating of animal flesh, will account for the reduction of human lifespan by 775 years in under 300 years. That was the plan. Incredible phenomenon!! In our arguments for human frailty, even Ellen White's, do we understand that Adam and Eve disrespected God's plan for health by their desire to eat, yes eat, beyond Divine guidance? Did God change His Divine guidance for health and His desire for us to be healthy by giving us meat to eat? Was it His desire for termination of human life, especially earlier termination? Are we allowed to manipulate information at the expense of God's clear original guidance. I think your argument is fundamentally an argument for the flesh, not for the Holy Spirit. Your argument for 30 years to overcome meat eating, and by extension overcoming alcohol, smoking, eating swine flesh and other polluted meat products, exalt the new lifestyle of Genesis 3 and of the flesh (Romans 7), without lifting up the Christ of Victory in the end of Romans 7 and in Romans 8. In your article you switched the cheese focus of your bearded skinny reject to that of salvation by faith. Excellent. However your two submissions above demonstrate why your skinny brother in Christ troubled you: food issues. One may struggle with issues of sin; but still we preach salvation through Jesus Christ. Gal 2:20 "I am crucified with Christ, nevertheless I live...Christ lives in me....." Aren't we instructed to "Die daily"
When Jesus was asked, "What must I do to be saved," He never said, well, you must not to eat "this" or "that." He simply said we must believe. We are saved, not by what we do (or refrain from doing), but by grace through FAITH in Jesus and His finished work on the cross. He did it ALL, and we have absolutely NOTHING to contribute. He is our righteousness, since we have NONE of our own, in spite of our best efforts. Indeed, Sister, that's the truth! And I believe that's the point of the post to which you are replying. Michael, I think we may safely assume Jesus was not vegeterian even prior to the resurrection. He attended Passover and the Passover celebration included consumption of lamb. You can be total vegetarian and have a BMI over 25. A tablespoon of olive oil is 120 calories. No homo sapien stomach small or large feels full with olive oil, however 1/2 of your plate with green vegetables with avocado mashed and mixed in with your clean fingers, and a lemon squeezed over it, 1/4 the plate summer squash without salt or dietary fats, and 1/4 the plate beans, sprinkle in walnuts, than clean your plate and you will have a feeling of fullness. If you have a large stomach, you will want sideboards on your plate. God wants to have a lovely place to dwell in. Psalms 84:1. Our bodies are a temple for God to dwell in, why destroy them? 1 Corinthians 3:16-17. Why not provide a lovely place for God to dwell in. After all our aim in life is to join the redeemed, Jesus, and the holy angels. It is as simple as turning our bad habits over to Christ. He is the Giver, of good nutrition, daily exercise, pure water, sunshine, temperance, pure air, rest, and trust in God. I am blessed by what you have shared and agree with most of it. I do have a question about this comment at the end. "In the same way, God chooses the right time and place to deal with that pernicious habit that is preventing us from advancing spiritually. He knows when it is time to deal with the problem and how best to deal with it." I will admit that my experience has been along the line you describe. However, I am reading a book of talks from Watchman Nee - the life that wins - and in what I have read so far he makes a powerful point that God, on the cross, paid the price to not only deliver me from sins guilt, but also from its power. You did comment on the sanctification issue as God doing the work in us. I agree. I am still seeking understanding on this subject as my life is not one of continuous victory. Yet, if it is not I but Christ living in me, (Gal 2:20) He has overcome the world, and called me to a life of righteousness, peace and joy in the Holy Spirit (vs a focus on eating & drinking) Rom 14:17. I can not see how Christ in me is going to be struggling and falling with a pernicious habit. We are called to be in Christ's victory procession, created to do good works. I am seeking growth in understanding in this area, as it does seem that Christ has called us to a life of victory, not defeat. Again, thank you for your comments. I am blessed. Hi, Will. You raise some very good points, and I think many of us have faced these issues as well. Perhaps it would help to understand that while we can only see the present moment, God is able to see the entire extent of our lives. We may feel based on what we can see that we do not have a victorious experience. However, God can see a life of victory where we cannot. The Holy Spirit can direct attention to each and every point in our life that needs special intervention both now and in the future. When a child is born it is unable to walk. A loving parent would not push the child to walk at three months of age. Instead, the parent waits until the bones and muscles have strengthened and the child is ready to begin. The parent does not give the child detailed instructions on how to bend their toes or flex their ankles to be able to walk. Instead, the parent simply provides enough encouragement so that the child desires to walk. The walking then comes naturally. In the same way, the Holy Spirit works within us to produce the desire for good works and then enables us to accomplish them through His encouragement. (See Philippians 2:13) The baby cannot explain how it walks, but it does. The Christian may not be able to explain how their life is changing, but it does. Paul talks of those who are ready for meat and those who can handle only milk. Those who feel others are somehow not experiencing victory in Jesus because the other person's experience is not the same as theirs, may be like someone setting an apple before a child who has not received his teeth yet and pushing them to eat. I'm just wondering is fish meat? My Bible says in Luke 24:42 that Jesus ate fish and honeycomb after the ressurrection and in John that he gave the disciples the cooked fish that they caught - would He give something He didn't want them to eat? There will be a lot of meat eating, non Sabbath keeping Christians in heaven, who lived their faith, who ministered to the disenfranchised [And I think here of my Anglican friend who as part of a group that supports immigrants and has two families that through the "Sanctuary" group she belongs to and who have a commitment FOR LIFE to support them with friendship in our community] and who cared for the earth [How many trees have you planted? Do you recycle?] much more than many SDA's. God speaks to and leads lots of those who are seeking Him. Cronic ridgeness and smug superiorty witnesses to no one except ones own ego. We need to keep ourselves off the judgement seat and keep our eyes on Jesus. Concentrate on walking alongside Him in the paths of His choosing in our lives and that might just mean occassionally stepping outside our conception of what we think is right!! Salvation by works can grip us unbenowingly by the throat!! A proper view of Jesus brings all things into their proper perspective, spend time with Him and see where that leads you. You made good points. Jesus Christ Himself gave Noah permission to eat certain meats, as He predetermined by the "clean" animals entering the ark by "sevens." He also eat meat, as you pointed out. He did not give eating as a basis for salvation. He gave Himself as the only basis for salvation. Helping those in need is not a basis for salvation either. He alone is. But if one wants to be saved, helping those in need is a necessity (Matt 25; Isa 1; Isa 56 - 61). By the same condition, taking care of the "Temple of the Holy Ghost" is also a necessity (1 Cor. 6, etc). Sabbath keeping cannot give salvation. But when we are saved, we minister to the needy, take of the body Temple, and keep His commandments. On our own, we cannot. But we can do all things through Jesus Christ who strengthens us. May you and your Anglican friend continue to bless the lives of others, as Jesus Christ/Yahweh in you, gives you the power to will and to do His will (Phil 2:13). Heaven is for restoration. Restored, the animals will no longer be fearful of each other, or fearful of man. Because we will no longer hurt or kill one another. Not even for food. The God who designed us from mother earth (Adamah), gave us mother earth as our source of food, as He also gave to the animals. Redemption is for restoration. We will no longer be SDAs or Anglicans or Pentecostals or Moslems. Sons and Daughters of God, only. Let us live in love. Meat isn't wrong or right, and neither is cheese. It is not even wrong to eat the industrialized western societies' processed food and fast food. However, processed food and fast food will account for high incidences of the big 4: diabetes, heart disease, high blood pressure and cancer. The increase in personal suffering and early death, and the impact on families and on the healthcare system raise concerns about care of self, and loving concern for others. It can be said far more drastic. You and I are responsible for our decision to be restored into the image of Christ. God has made redemption possible through Christ, and continuously woos us by His love to come to Him for restoration. But the decision is final with us. If the pattern of my life will damage relationships here, and affect my being hired and keeping a job, will those patterns carry over in God's new perfect environment at the Second Coming of Jesus Christ? God is preparing a place for those who plan to be restored into living by His perfect will, as He originally planned. Now we cannot make that happen. Only He can do it in us. Which calls for my full surrender, commitment, to Him; as Daniel who "purposed" in his heart, to do the will of God, and glorify His name. I am convinced that I have to honor God by what I put in my body, what I put in my brain, what I invest in my relationships, and what I commit to in my relationship with God. Like the Bible teaches us, we cannot do it of ourselves, but "it is God who is working in me both to will and to do His good pleasure." This is why I believe that I am responsible for making decisions for health in what I eat, how I invest my time, what I put in my brain, and how I relate to others. When I commit to HIM, He makes it happen in me, unto eternal life. I am now convenced that the majority of SDA's believe that preparing our bodies for Christ deals with food. I am not convinced that eating "Clean Meat" equates with alcohol and cigarette smoking. As Adventists we demonize "Clean Meats" by putting them in the same category as Alcohol and cigarettes. And then you bring out the point about the origins of the "Clean Meat". THose that come from deseased animals. Don't forget our planet indures the inhearitance of sin. Raw vegetables are also subject to contamination, and many have been recalled from store shelves. If not cooked some vegetables can make us sick if contaminated. All I would say is lets live the best we can in this sinful world and not kiss ourselves because we feel we are pure in Christ by eating veggies and not (Meat, Alcohol and Cigarettes). I put meat with drugs since now SDA's want to put Meat in the same catagories as Alcohol. "Clean Meat" that is. And Christ feed fish and bread to the multitudes of those who can to hear him and learn from him. He realized our mortal bodies at that time required sustanance. However, I would have to believe that Joseph and Mary were practicing Jews and Christ as a youth probably was not a "Vegan". When he returned to meet those Apostles and to others after his resurection, his purpose was to let all know "He is RIsen". I would never even say that food or water were necessary for Him any longer. But in scripture Jews did not eat "Clean Meat", because they did not know the source of those animals. The Jews of Christ's day were not trying to say "Veganism" is the way to Christ. And the Bible does not say to us if they were against eggs, milk, or Cheese. EGW and the SDA church has set diet as a criteria to salvation. Hi, Janet. Please don't let a vocal minority convince you that they are the majority opinion. For example, in the ongoing Adventist Health Systems study of the membership, it was discovered that only about 1/3 of the membership practices vegetarianism in any form. While the study did not look at this issue specifically, I suspect that perhaps those who are eating clean meats only might not represent a majority either. SDAs do promote a healthier life style, not in order to get to heaven, but to live life more abundantly. Even secular sources believe this as well. If you will examine the "Fundamental Statements of Belief," which you can find here on SSNET, you will discover there is nothing indicating that diet is essential to salvation. Those fundamental beliefs represent the common understanding of the body of believers within the Adventist church. Anything added to that may simply represent personal opinion and conjecture. If you are in a room with ten cats and three of the cats scratch you, the experience is painful and may make you leery of cats, but it does not mean the majority of cats in the room want to scratch you. Sometimes being vulnerable can open us up to pain and disappointment, but if we withdraw, we might miss learning that the other seven cats absolutely adore us and want to share their love with us. We might even discover that they don't feel comfortable around the three scratchy cats either. Thank you. I appreciate a balanced and educated response to Janet. Your previous submissions did sound to me like what Janet described. Check your cat story and your use of percentages. Then measure it by the equations of Jesus Christ: "Broad is the way......... but narrow is the way." As a Rabbi, I would hope that you let your guidance flow from the Scriptures rather than from human conjecture. I would hope that Janet heard clearly that salvation is not in our food; but only in Jesus Christ. God is calling us into surrender to Jesus Christ, and to victorious living in HIM. He will work in us to will and to do: living in holiness and faithfulness, taking care of the needy, taking care of our body Temple, being empowered by the Holy Ghost for the salvation of others. He is calling us into obedience to the "faith" in Him the Jesus Christ Who died for us to save us, from sin and destructiveness. I think you did an excellent job in identifying eating lifestyle in Scripture. Additionally, the Apostle Paul makes the point that eating and drinking does not save us, only Christ. Lots of Christians through the centuries who ate meat will be saved in the Kingdom of God. Same today. If you don't mind, how do you perceive the passage of Scripture in 2 Cor 6:19 where Paul identifies the body as the Temple of the Holy Ghost, warning that the one who destroys this body temple, God will destroy. Am I responsible for what I know, to the point that if I place in my body damaging substances, it gives a picture of what I will continue to be like if I am in the Kingdom of God? By the way, my father was a drunk, a chain smoker, and pork and shrimp eater. I know both paths. There is an interesting dichotomy in sports where the use of coffee or more concentrated forms of caffeine, tobacco, alcohol, etc are not categorized as increasing one's advantage at play, but taking a steroid is increasing one's advantage. How do we determine the scale for acceptability vs unacceptable? A small damage is not to be categorized with a greater damage. Personally, I give credence to one thing: What was God's plan? Is the practice of eating meat today the same as it was in the day of Jesus Christ? Are there clear destructive paths that we now follow, evidenced in diseases and suffering? You see, I have worked with a number of 4th stage cancer patients (diabetics whose pancreas no longer functioned, etc) who exhausted medical reasons for hope, several on their death beds (including the wife of a practicing Physician). I have seen incredible changes as a result of following God's plan. Even as I write this, I am guiding a patient whose cancer returned for the 3rd time, back to health. God's way. It is well nigh impossible to help anyone who chooses to continue destructive eating patterns. I ask for a radical change, based on the Word of God, as prerequisite. Everyone of us have reasons for our beliefs and our choices. Do those choices relate to eternal life? For some reason this whole thread has become a discussion on whether we should eat cheese or not. That obviously was not the intent of Stephen's article. His point was not about eating cheese but how we relate to others concerning issues such as that and how we have a tendency to enforce our ideas of what we feel is correct on fellow Christians. He even takes us on a very brief tour of history of the Christian church's enforcement of its teachings. It seems to me that there will always be those that have a very strong bent to fanaticism by concentrating on one or two issues while nearly neglecting other more important ones. Our approach to Christianity should be balanced, with more attention given to the weightier matters of the law while not neglecting the other less important ones. When we major in the minors we become lopsided in our walk with the Lord. Therefore, in my opinion our stand on diet and issues like it quite often becomes THE issue rather than one of many and unfortunately sometimes becomes our topic in evangelizing the world around us instead of the cross. I think Micah said it best, “He has shown you, O man, what is good; And what does the LORD require of you But to do justly, To love mercy, And to walk humbly with your God?” (Mic 6:8 NKJV). Stephen I have read the story f the forbidden cheese before, a number of years ago. The other texts that point to our salvation are timely and helpful as we struggle daily with decisions that are acceptable. Thank you for sharing the word of God. The illustration used at the end of article about the surgeon was particurlarly helpful. "He never ate meat again"??? Um, which Word, exactly are you reading? Luke 24:42-43. Can it be any clearer??? Unfortunately - as to me it is one of the tastiest things on the planet - cheese gives me bad headaches. Maybe Ellen White was onto something there... at least as it effects certain people. I'm 50 with a clean bill of health. Here in India, righteous Hindu vegetarians cook their veggies into limp, vitamin/enzyme-devoid state of submission in heavy oil - wonderful!!! As a reward are their record rates of diabetes and high blood pressure; cancer rates also high, and I could go on and on!!!). Which is to say that most of the most righteously-adhered-to codes either miss the point or are invalid for significant numbers of people, since humans are so biologically / contextually diverse. I'm not SDA (or Hindu/Buddhist) but I do believe in a healthy diet. Our family eats meats generally about once a week (clean or "unclean": The fact that Peter's vision was an analogy hardly makes it uninstructive for the food realm, especially alongside Paul's assertion about anything - including idol-offered meats (!) being clean "if taken with thanksgiving"). Finally, our body is a temple... what are we going to do with it? BTW "regarding the life of one's beast" has NOTHING to do with slaughtering animals or not, as anyone living in a traditional agrarian context should understand. There are kind and cruel ways of behaving towards one's animals, even when it comes to slaughter. Kid goats in these Himalayan homes are taken into kitchens, wrapped in blankets, and are petted and stroked and named and treated as pets even when older... despite the reality that they'll one day become food. A similar context here to that in which the Proverb was written, there were probably no vegetarians in Israel in those times, so let us not stretch the meaning to fit our own convictions. I suppose by the above commenter's logic we are being "cruel" to the lives of insects and worms when we plow a field to plant our vegetable crops... our forefathers were certainly being "cruel" to many larger mammals when they cleared the forests to create fields in the first place. Some of this is avoidable ("Permaculture" seeks to grow foods less invasively, in harmony with natural processes), and some probably not. Life in step with the Spirit ("of life" - Rom 8:2) is largely about doing what is life-affirming: "life more abundant" (Jn 10:10). Vs. strict adherance to the written code (2Cor3:6): "the Law of sin and death" (again Rom 8:2), also vs. the one who comes "to kill, steal, and destroy" (again Jn10:10). The contrasts should be clear here, as should be the right orientation of the believer. It is not about making up more laws "which neither they nor their fathers could bear" (my great grandfather was born orthodox Jewish - and by God's grace later delivered from all 650+ of them). Acts 15:10, in the midst of the Jerusalem council, is really all you need to settle these questions once and for all - we should not even be debating them. I wrote something recently on this question as it concerns marijuana, now that it is becoming legalized. It does not effect everyone the same. Being that someone slipped it in some wedding-reception snacks I unknowingly ate recently, I know it is not for me - the effect was NOT in accordance to the clarity of mind and self-control (as it concerns cognitive function) the Spirit would have for us. But I have a neighbor, three-time cancer survivor, who eats the seeds daily for their strong anti-oxidant properties. He's also around 70 and in better shape than I am at 50... And sorry to say, but a lot of rather productive, creative, fairly healthy folks out here have been smoking it for years... I don't advocate / recommend it (or anything else) at all - but neither would I prohibit anything that's not clearly destructive / addictive for an individual or community. And BTW, cheese is hardly a Western phenomenon... my goodness people... some education here would be helpful.